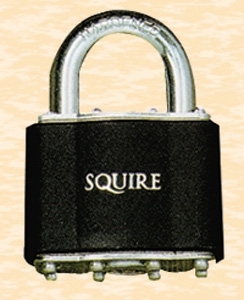 35 Stronglock Laminated Open Shackle Padlock. 38mm Width, 7mm diameter and 17mm locking length. 4 Pin tumbler lock mechanism, hardened steel shackle, self locking, 2 keys supplied. 10 year guarantee.